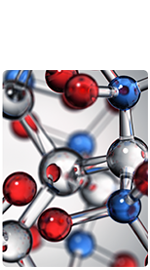 ORB2000C is a hydrocarbon based solvent that is specifically formulated as a paraffin dispersant. Dilution is typically achieved using diesel fuel, naphtha, xylene, or toulene . ORB2000C can be used in automated tank cleaning systems, pump recirculation systems, or with hand-held lances. The proper safety precautions should be observed as the use concentration of ORB2000C and it’s diluentent is flammable. ORB2000C is designed to mobilize high paraffin crude oils and sludge with or without the use of heat. Typically, ORB2000C when cleaning crude oil storage tanks is recirculated within the tank to be cleaned in a diesel fuel mix of 1 part ORB2000C to 3 parts diesel fuel. Recirculation is commenced and continued until all of the sludge in the tank being cleaned has been mobilized and removed from the tank being cleaned. To further clean the tank so as to gas-free or water-white the tank a follow-up cleaning with ORB102C (salt-water dilution) or ORB156 (fresh-water dilution) would occur. ORB2000C can be used with or without heat. The products ability to disperse paraffin’s is not diminished when no heat is used, but the reaction will occur faster when temperatures of 140°F to 150°F are employed. Processing and tank cleaning equipment for the application of ORB2000C is available from our sister company Tank Cleaning Technologies, Inc.. Description ORB2000C is a mixed structure, oil soluble paraﬃ n dispersant.